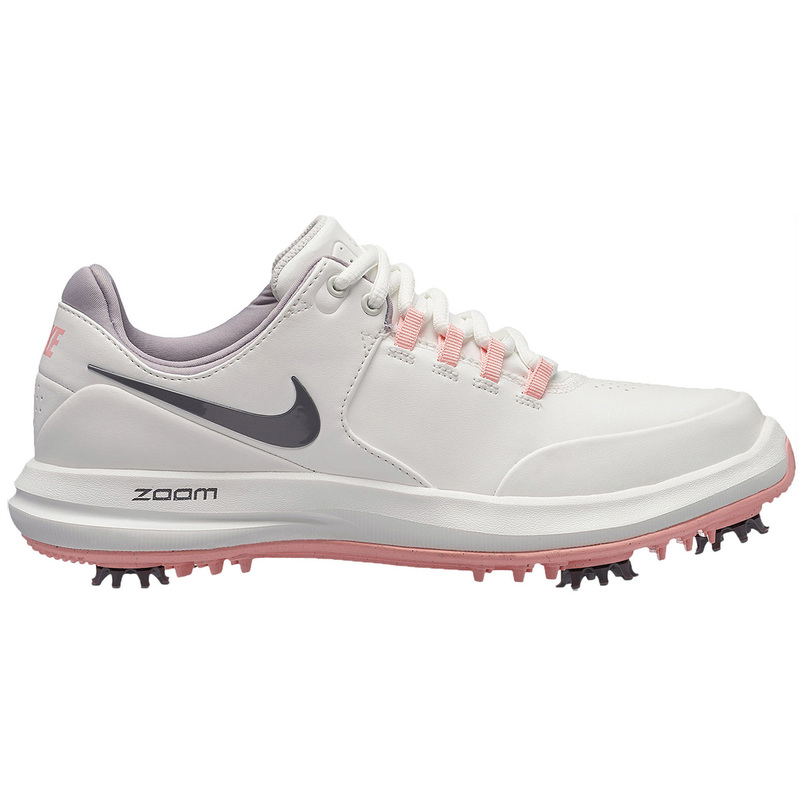 Using premium materials through the entire shoe, you get complete peace of mind with a pair of Nike golf shoes! 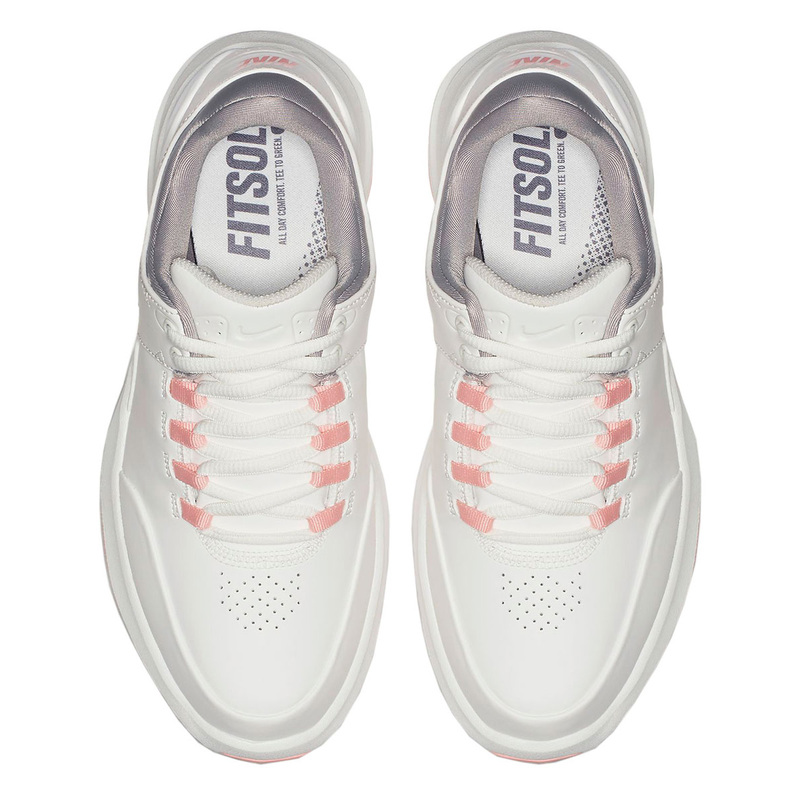 The synthetic leather upper gives protection against the elements and unbeatable style, the waterproof shoe offers complete support starting from the ankle through to your toe that reduces the feeling of foot fatigue. 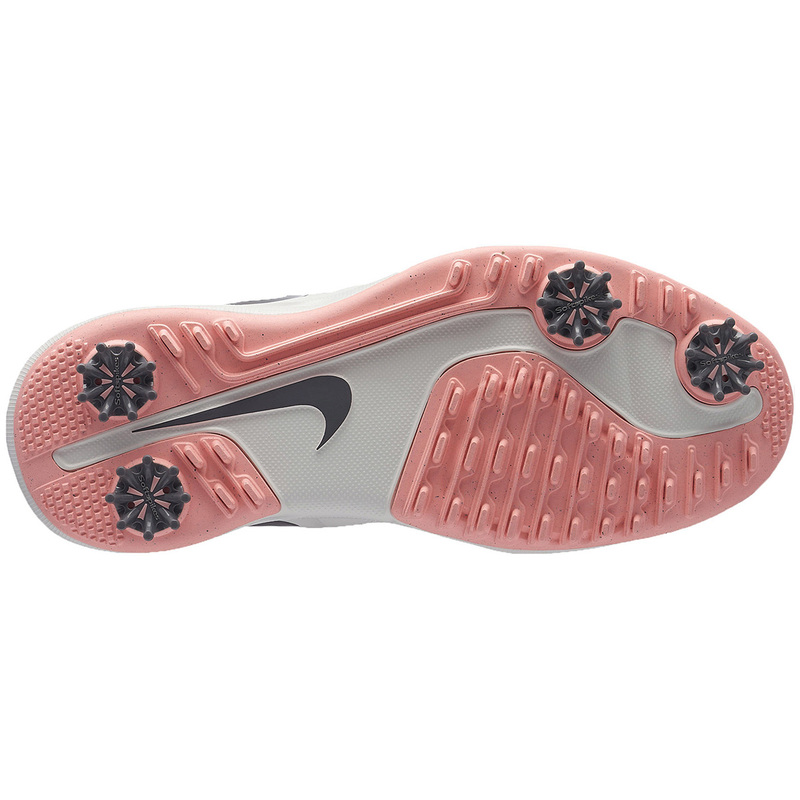 Removable spikes lock and twist into a Softspike Tour-Lock position that give excellent ground feel and traction on various surfaces. 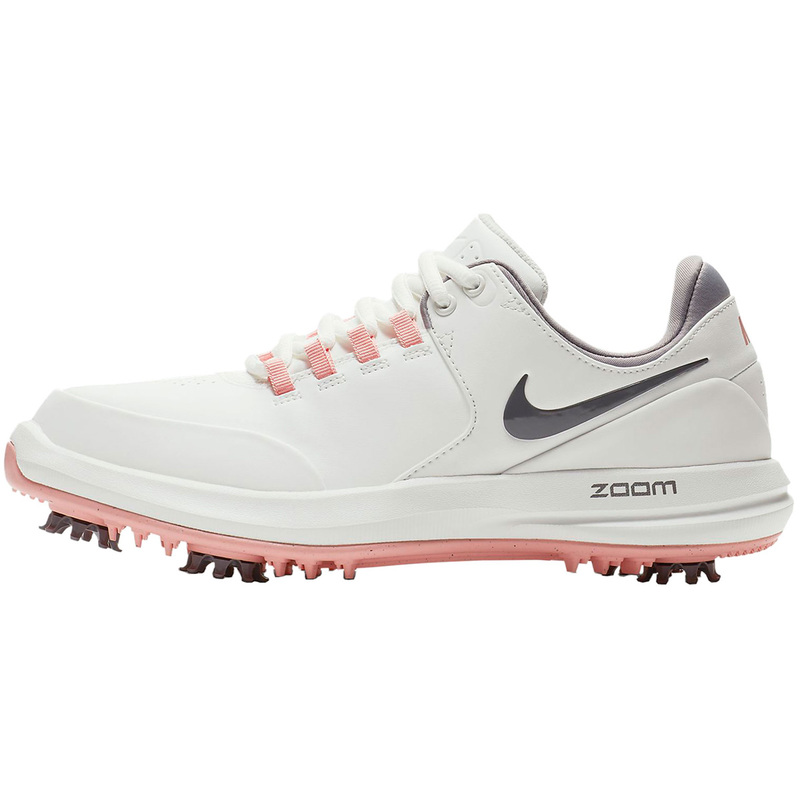 The Zoom Air unit offers cushioning in the heel and the gusseted tongue provides a sock like fit.